The map is intended to provide more information about local TB risks from local farms but has raised concerns about the lack of privacy for farmers who have suffered breakdowns. 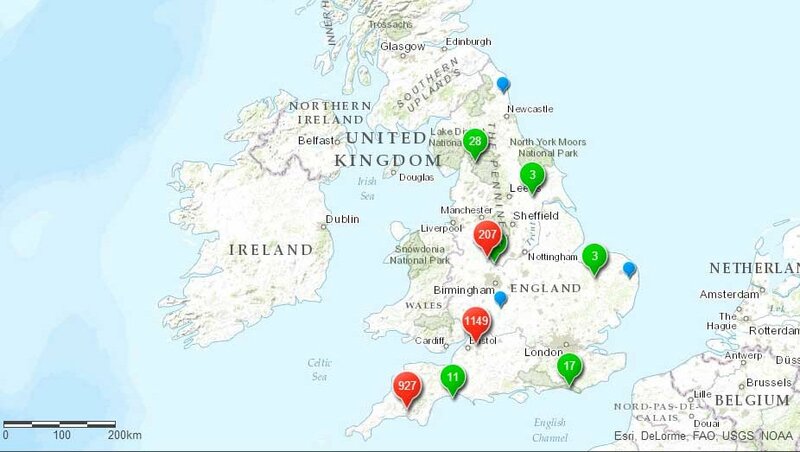 Defra has published a new interactive online map showing the locations of TB breakdowns in England dating back five years. 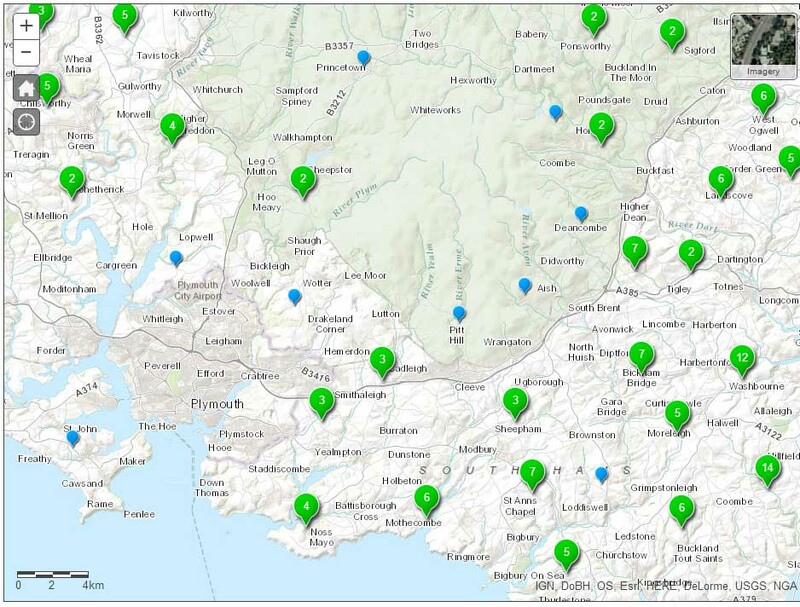 The ibTB map, which can be viewed here, enables users to pinpoint an area of the country by either clicking with a mouse or entering postcodes or County Parish Holding Herds (CPHH). Breakdowns are displayed as coloured bubbles. By zooming in is possible to click on the locations of farms that have suffered breakdowns in the past five years. Users can see when, in the past five years, farms went under restriction and when they came out or whether they are still under restriction. Names, addresses and CPH numbers are not displayed, although the point marked on the map is the address of the holding, which in a few cases may not be the location of the breakdown cattle herd. The NFU has expressed concern about the ease with which it will now be possible to identify farms with bTB. The map, which will be updated monthly, does not differentiate between Officially TB Free (OTF) Suspended and OTF Withdrawn status. It is intended to provide more information to farmers to help them manage the risks when buying cattle and dealing with the farms in their locality. Although, Defra has not formally announced the publication of the website, it said in an Information Note on its website: “We hope this publicly-available map will help cattle keepers and vets to visualise the TB situation around the areas they farm, and in turn, to help manage the TB risks to herds. Currently, only TB breakdowns in cattle herds are shown. Defra said the Bovine TB Eradication Advisory Group for England (TBEAG), the NFU and others ‘all provided positive input into the development of ibTB’. NFU Deputy President Minette Batters said the new website would ‘help farmers find out about any ongoing bTB breakdowns near their farms which will help them make informed business decisions’. The interactive map appeared to be the only surviving element of a proposed package of TB measures, including tighter cattle controls, that was due to be published on Tuesday but was postponed. Mrs Batters, who has been heavily critical of Defra’s failure to push ahead with plans to roll out the badger cull since the election, said: We need to see this disease treated as a whole. “Bovine TB continues to devastate farming businesses across large parts of the country and we need to see a genuine commitment from the Government to implement all elements of the TB eradication strategy as soon as possible. The TB Order (England) 2014 includes a provision allowing Defra to publish TB breakdown information to help ensure cattle keepers are aware of the TB risks in their area and so are better equipped to protect their herds.